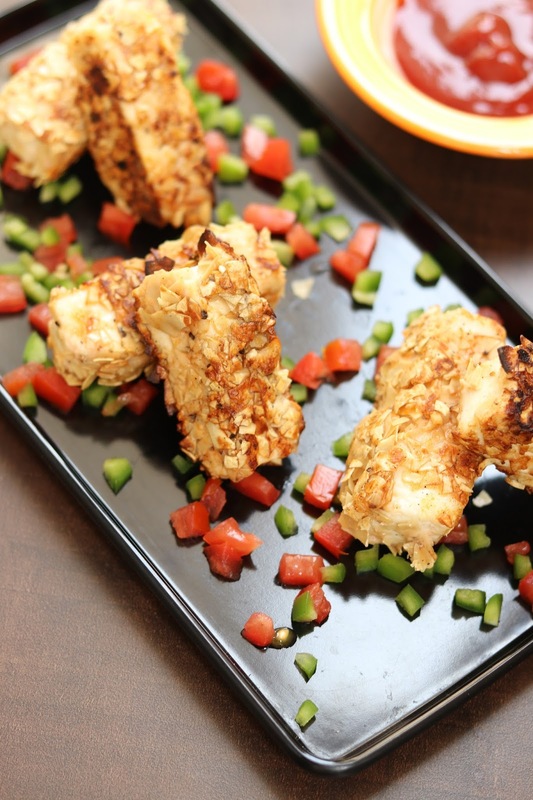 Try out these crispy paneer snack - paneer papad rolls, a perfect party starter/snack which does not need any special equipment to cook. Simple cook these crispy paneer delight on tawa and you are good to rock in party. 1. Cut paneer into thick slices. 2. Prepare a paste of cornflour, water and tomato ketchup. Add all the spices in the paste. Dip paneer pcs into the prepared marinade. Keep it aside for 20 min. 3. 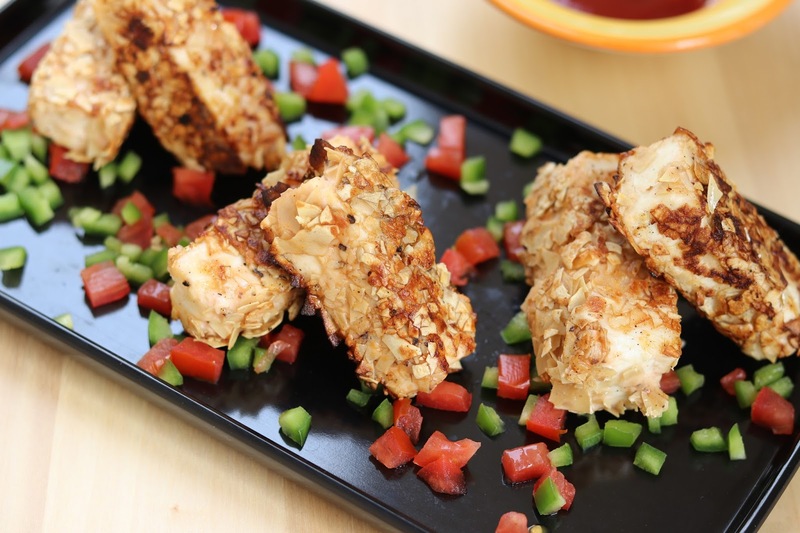 Coat all paneer pcs with grounded papad all around. 4. Shallow fry all paneer pcs on heated and greased tawa. Cook on medium flame from all sides till crisp and golden brown. 5. Serve immediately with tomato ketchup or green chutney.